DBY Boat Sales, incorporating David Bray Yachts and Multihulls, is a professional team of yacht brokers providing an extraordinary service, network and experience for selling and listing boats for our valued clients. The David Bray Yachts and Multihulls lineage goes back to 1977 making DBY one of the longest serving yacht sales operations in Australia. 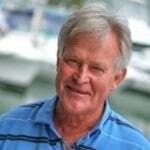 David Bray, through his long career, has developed a large network within the yachting community in Australia. This vast experience enables the brokerage to be at the very front of information in the marine business to help deliver the best sale or purchase you can find. In February 2013, Rod Waterhouse and David Renouf bought the yacht brokerage from David Bray. They decided to rebrand one year later to DBY Boat Sales as the business expanded in listings, sales and markets. Rod worked with David Bray for many years as a yacht broker. If you want to go way back, David Bray even sponsored Rod’s sailing team when he was a teen racing Hobie Catamarans in the 1970’s! David Renouf and David Bray also share a long history since both have worked in the industry for 40 years and collaborated over time. David was a broker at DBY before purchasing the brokerage. Our mission has always been to provide the best professional sales services with clear, concise communication. We believe it is important to acquire the right boat for the right person in the easiest, most stress-free environment. …Sydney (Pittwater and Harbour) and Western Australia, all excellent locations for cruising, racing, international visitation and departure. All three locations offer excellent exposure for selling. David’s passion has always been about sailing and people. He grew up in Sydney racing Hobie Catamarans. Back in 1977, David Bray cofounded Sydney Sailboat Centre which became Australia’s largest retailer of Hobiecat, Windrush, Maricat and Laser boats. David competed in the inaugural Hobie 16 Worlds in Hawaii in 1976. 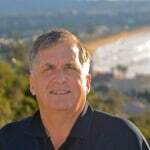 David has been in the yacht brokerage business for over thirty-five years. His philosophy is to ensure that the right person is perfectly matched to the right boat in the most open and honest way possible. For over 40 years, David’s worked in the boating industry. A jack of all trades, he has built boats, made sails, professionally raced, imported and sold hundreds of yachts. David collaborated on major projects with award winning designers in Australia, New Zealand and the US, yielding a wealth of knowledge for potential buyers and sellers. 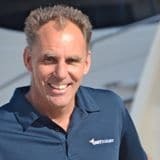 In the ’90s, he built up a successful California multihull brokerage that specialised in performance cruising yachts and became Catana Catamarans’ largest dealer in the 1990/2000’s. In Australia David has represented Seawind Catamarans, Corsair Trimarans and currently an agent for the Airplay 30 Trimarans and and HH Catamarans. 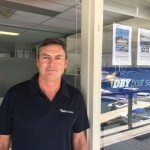 David is DBY’s new and used Multihull Specialist. David sailed and raced across the world’s oceans and now enjoys exploring Australia’s coastlines and weekend racing with his family. 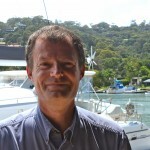 Long time Pittwater local Darren Parker has been sailing, playing and doing business in the area for over 20 years. His vast experience in new and used boat sales, print marketing and sales management are a welcome addition to the DBY team. Darren’s active lifestyle make him a great fit with our adventurous clients. 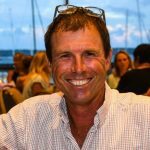 He’s a keen sailor, windsurfer, kite surfer, water skier, wakeboarder, PADI scuba diving instructor, Newport SLSC lifesaver, Master 5 skipper and more! His experience as a broker for Riviera brings a wealth of knowledge into the power boat business and lifestyle. He enjoys nothing more than boating locally with his family and game fishing in Fiji to catch the big one! Rod was an active senior broker long before he became owner of DBY Boat Sales. The long standing relationships and repeat clientele that Rod brings to DBY is a testament to his knowledge and enthusiasm for the brokerage and boating lifestyle. Rod’s been traveling the planet for over 50 years on everything from Hobie 16’s to 60 footers as a serial weekend racer to hired delivery skipper. He’s also enjoyed many seasons captaining the family yachts while crossing oceans, canals and the Med with his wife and two children before settling into his current role. Whether you’re a cruiser, racer or looking for a family boat, Rod has unparalleled experience to find you the perfect yacht. Rod is also our Import & International Yacht Sales Specialist. Graeme’s love for ‘all things boats’ stems back to his childhood days racing Manly Juniors, Moths, 12ft skiffs, Maricats and the various trailer sailers that were built in the family backyard by his father. Professionally, as a Mechanical Engineer, he ran his own business selling engineering equipment to Mining, Petrochemical, Oil & Gas and the Power Industry, but welcomed the opportunity to join the DBY team to combine his passion for boats and sales experience developed over many years. 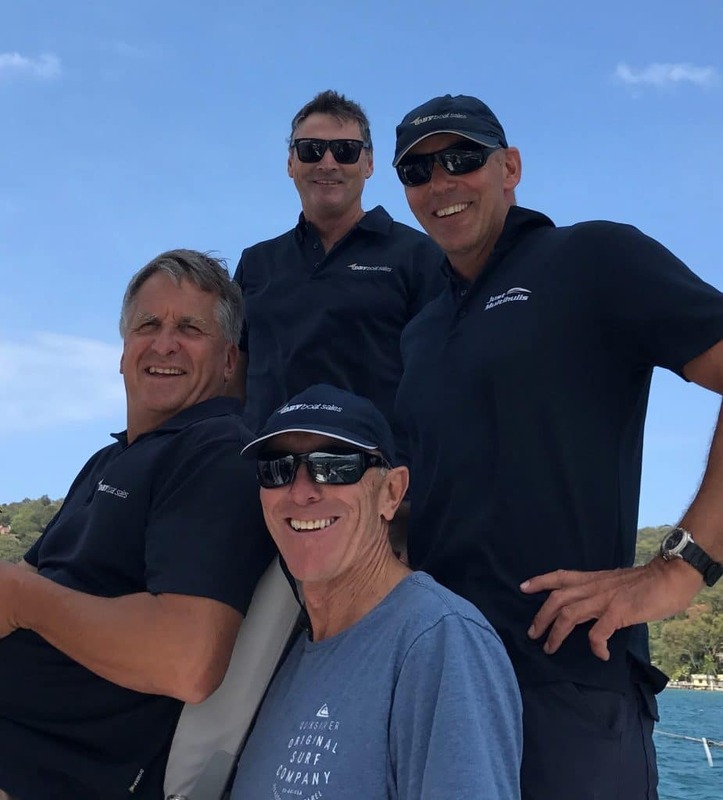 Having previously owned cruising and racing monohulls and now a performance cruising catamaran he is a self-confessed fence sitter when it comes to the debate over monohull or multihull. Locally, Graeme can often be seen racing his catamaran around the cans or spending a quiet night with his family in one of the many picturesque bays of Pittwater. 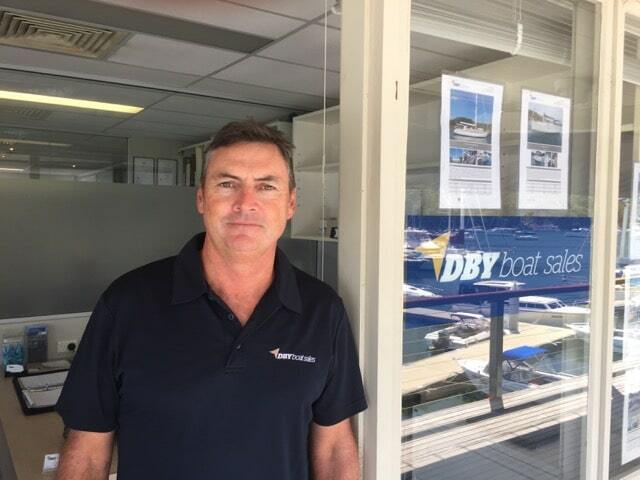 Rob is the Queensland representative of DBY Boat Sales and is based in Brisbane. He has been an passionate sailor since a child and still competes at World Championship level. He has traveled extensively but now enjoys life on Brisbane’s bayside with his family who can’t bear to be away from the water. Rob is a skilled negotiator and has vast experience in digital marketing, which is an invaluable asset when the time comes for you to sell your boat. Jason at just 21 is an extraordinary professional sailor and team member. His youth and enthusiasm in sailing brings just the right energy to our progressing business. His yachting experience includes cruising internationally over 60,000 nautical miles in various brands of boats including Beneteau, Jeaneau and Bavaria. He has always been hard working in sailing and became 4 time world champion helmsman in multihulls by the age of 18. 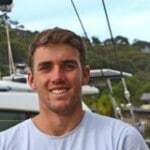 Jason is a member of the Australian Sailing Team working towards the 2016 Olmypics in Brazil. As helmsman of both the 2013 Australian Red Bull Youth Americas Cup AC 45 and Austria’s 2015 Red Bull Extreme 40 racing catamaran, Jason’s networking in the sailing community affords relationships that enable him a broader audience for bringing business to DBY. When he is not training and traveling, Jason is hard at work making sure DBY buyers have access to great listings. Patrick comes to us with a successful business background in renewable energy solutions for recreational and performance boats. 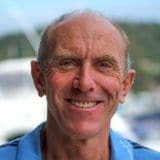 He started sailing and racing in France at the age of seven and spent the past 25 years traveling the world on various projects. His passion for innovation and clean oceans go hand in hand with cruisers seeking to get the most out of their boats, especially when bluewater cruising or racing. 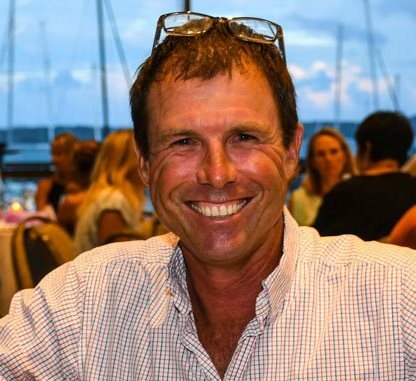 Technically, Patrick has a lot to offer clients and our brokers with a diverse background from designing energy solutions to racing around the local buoys on his own sailboat. Patrick assists in the sales process with his language and networking skills for clients overseas and those wishing to cruise to and from Australia. Patrick splits his time between offices in Sydney and the South Pacific. Liz comes to us after 14 years in IT and experienced in CRM systems, sales support, training, project management and technical writing. As DBY continues to grow, Liz keeps us on track with new technology and ensures we’re efficiently connected with clients in Australia and around the world. She’s probably your first contact with us and an important liaison between clients and brokers listings boats or looking for their next new one. 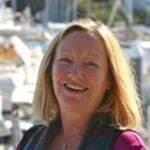 Liz has worked previously for Clipper Cruiser Holidays and Skipper a Clipper and is a social sailor. She’s enjoyed the Pittwater lifestyle for over 25 years.